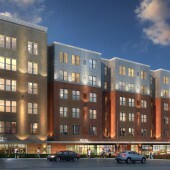 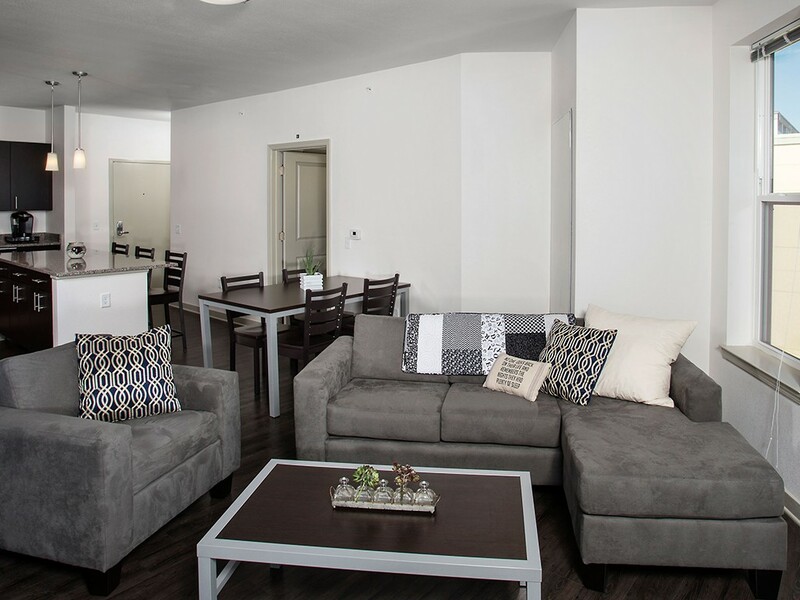 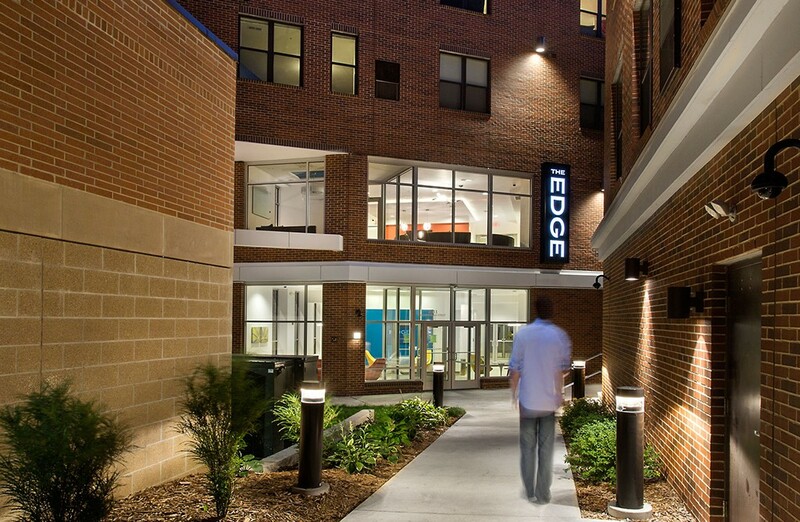 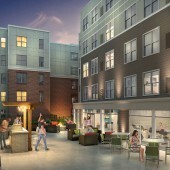 Develop a brand new student housing community designed to serve students of Iowa State University. 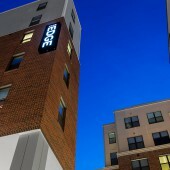 The site is located on BlockONE, across the street from the University’s main campus. 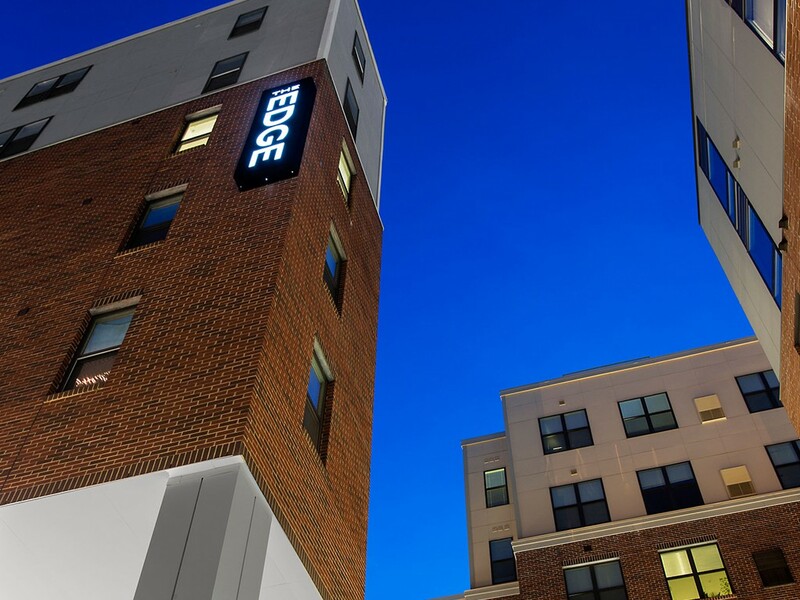 The Edge, completed for August 2016 occupancy, features 289 brand new beds in two, three, and four-bedroom fully furnished apartment units. 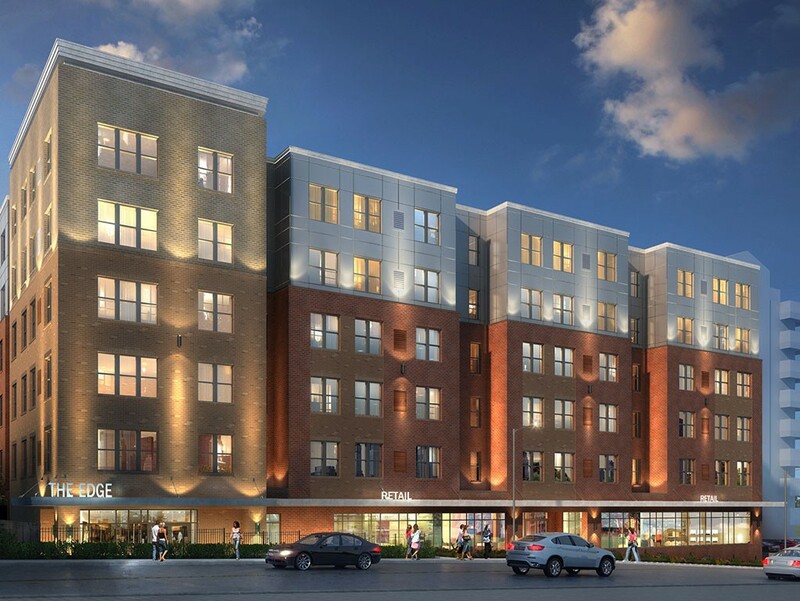 The project is designed to deliver residents modern, student-oriented amenities including a 24-hour fitness center with tanning room, social lounges, multiple study rooms, computer lounges with printing area and coffee bar, and club rooms with HDTVs and game tables. 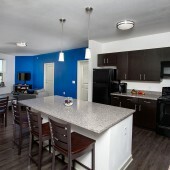 The property also provides free Wi-Fi, bike storage, and on-site parking. 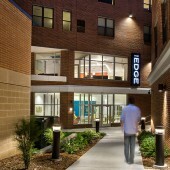 Additionally, the property boasts a lush courtyard, complete with a fire pit and grill for student use. 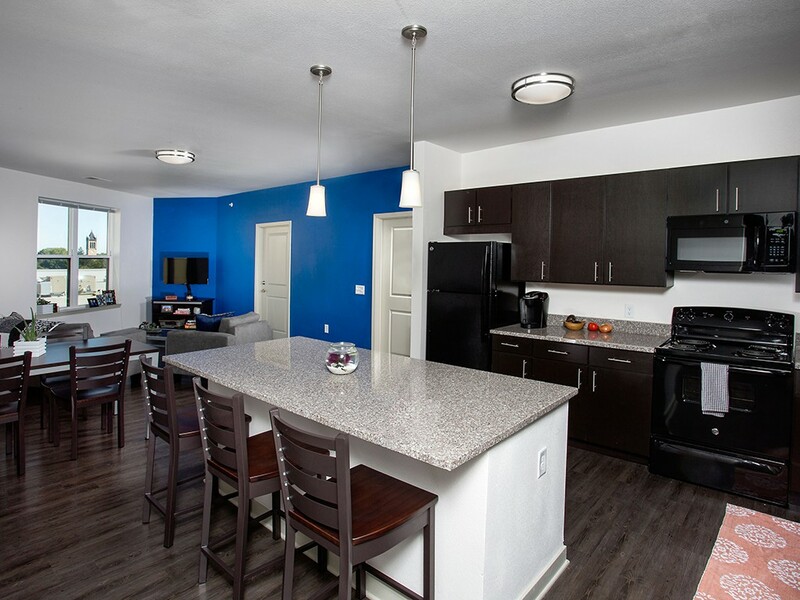 Each residential unit at The Edge is apartment-styled, fully furnished with private bathrooms and bedrooms, and features in-unit side-by-side washer/dryers, kitchen with granite counters and full appliances, large walk-in closets, high speed internet, cable and a flat screen TV. 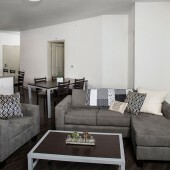 Conveniences include 24/7 resident services, roommate matching, and individual, by-the-bed leases. 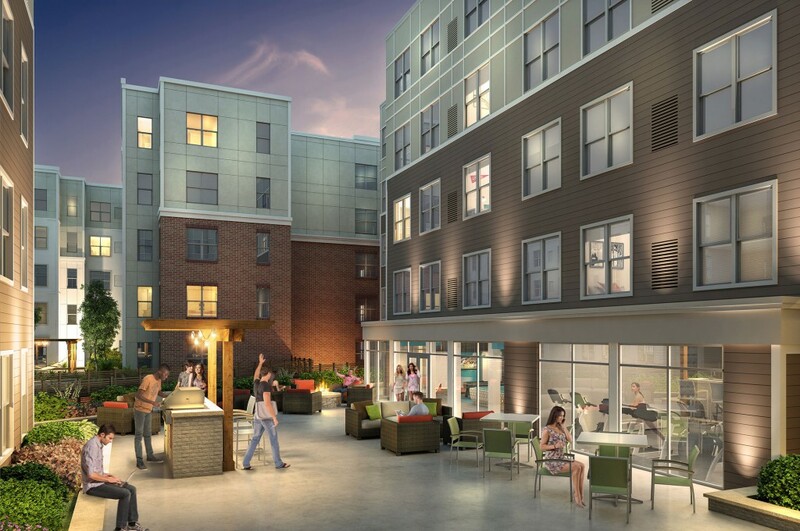 © 2015 Gilbane Co. All rights reserved.